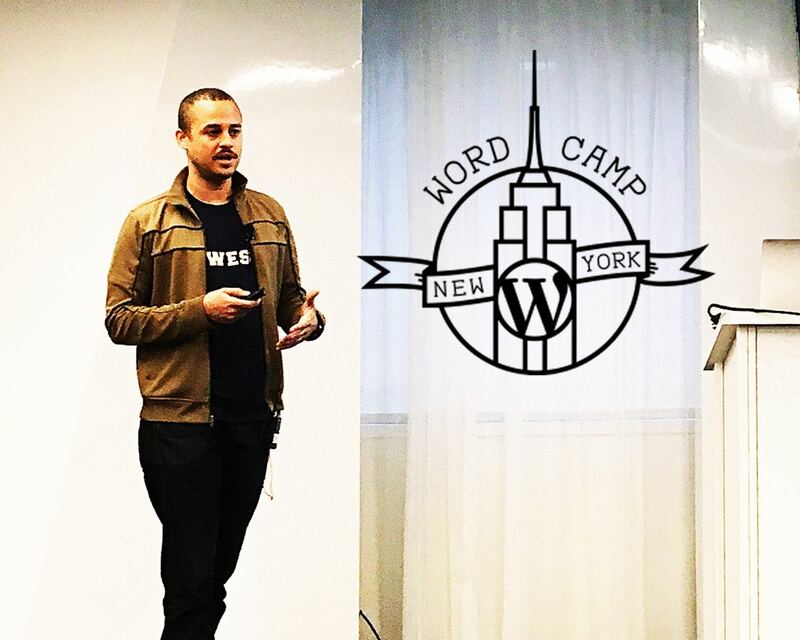 On Sunday, October 22nd, 2017 at the event space Convene in Midtown Manhattan, Barrel’s Director of Technology Wes Turner gave a talk on “headless” WordPress at WordCamp NYC, an annual gathering of leading experts in New York’s WordPress community. “Headless” WordPress, and What It Really Means was a talk that illuminated what the term “headless” really means, highlighting some of the challenges and unknowns to be aware of when making such websites. Turner covered several benefits to taking a headless approach (an approach in which WordPress is used solely as a CMS but its theme/templating features are replaced by a separate framework e.g. React) before warning the audience of some of its pitfalls. Drawing from past experience on various Barrel projects, Turner pointed to infrastructure complexity and higher costs as cons to going with the headless approach. He also mentioned that on-going maintenance costs on a headless website could potentially be higher than versus a standard WordPress site. Barrel architects and builds more than a dozen WordPress websites a year for clients, ranging from micro-sites to enterprise-level, multi-national builds. Based on the goals and needs of the client, we may take a headless or standard approach to developing WordPress websites. To learn more about our WordPress services, contact us at newbiz@barrelny.com.